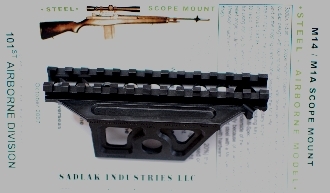 Sadlak Airborne Picatinny rail scope mount. The three point mount design is improved over the original Brookfield Precision design and lightened per 101st Airborne request. Current USGI.